Memphis Depay has been linked with a potential switch to Ligue 1 side Olympique de Marseille, according to French outlet madeinfoot. Following former Los Angeles Dodgers owner Frank McCourt’s purchase of the club in August, Marseille have newfound funds, and are looking to spend big to become Ligue 1 title contenders again. According to madeinfoot, the French club have identified Dutch winger Memphis Depay as one of their prime targets, and will attempt to sign the 22-year-old on loan. Earlier this week, AC Milan were said to be interested in signing the former PSV Eindhoven star. Similar to Marseille, Milan have been taken over by a Chinese consortium, and now have plenty of cash to spend. Much was expected from Depay after he signed for Manchester United from PSV Eindhoven for a reported fee around the region £25 million last summer. In his final season in the Netherlands, he scored 25 goals in 36 appearances, while also notching up 5 assists. He moved to Old Trafford as one of Europe’s hottest properties, and was even compared to Cristiano Ronaldo. Things haven’t gone as expected for the youngster, though. After a bright start to his United career, his form dipped and he was soon struggling to get into the first team. 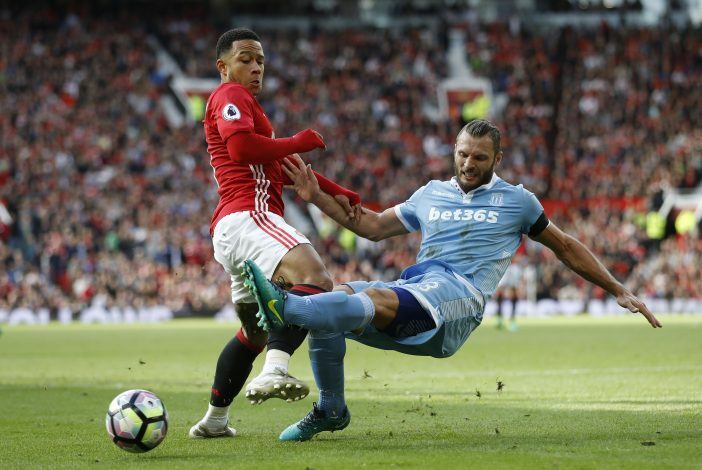 Depay was even left out of van Gaal’s last squad which won the FA Cup in May – a fitting indication as to just how poor his first season at the club had been. Following the arrival of Jose Mourinho at the club, Depay was determined to impress, and regularly posted videos of himself working hard in the gym on his Instagram account. But despite his efforts, Mourinho has not been convinced, and Depay has played just 63 minutes of football this season, in just 5 appearances – all from the bench. If reports are to be believed, Marseille and AC Milan have been monitoring his situation closely, and are set to go head-to-head for the Holland international in January.